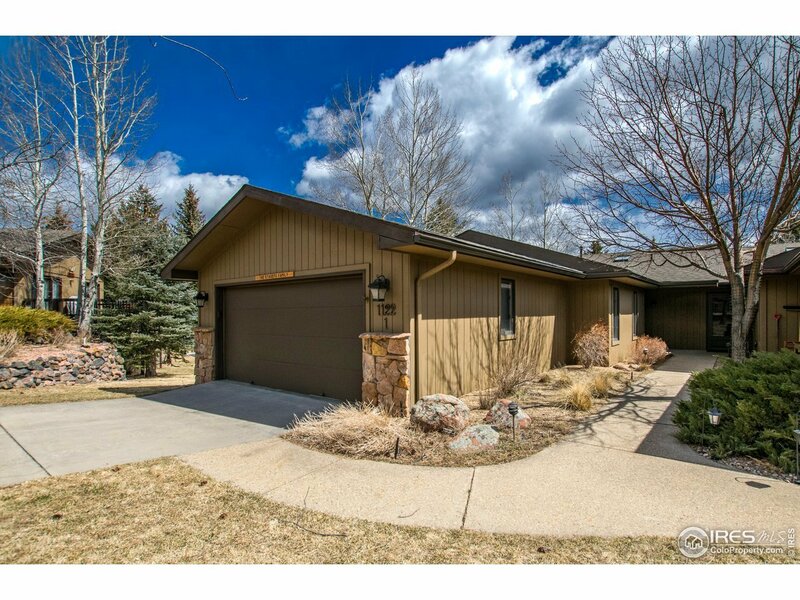 Walk to the golf course from this beautifully updated 3 bed/3 bath condo. Main level living offers open floor plan: GR w/vaulted, wood beamed ceilings, f/p, dining area & updated kitchen w/ Corian countertops, wood floors & skylight. Master suite w/ walk in closet. 2nd bedroom w/ full bath. Enjoy a beautiful sunrise & mountain views from the extended, covered deck. Lower level has family room, 2nd master suite, walkout to patio, plus large shop/craft/store area. 2 car garage makes it complete!